Our game room is available for private event rental in 3 hour increments. $300 for 3 hour block of time on Sunday through Thursday. $250 bar credit included. $50 non refundable deposit due within 48 hours of reservation. $500 for 3 hour block of time on Friday or Saturday with a start time at or before 7 PM. $400 bar credit included. $100 non refundable deposit due within 48 hours of reservation. Bar credit may be used for food, drinks, games, and merchandise. Deposit is required within 48 hours of reservation in order to hold the date. If no deposit is received during this time the date will become available for other interested parties. All private events will incur an 18% automatic gratuity. We are flexible regarding catering options and working with you to meet your budget requirements. 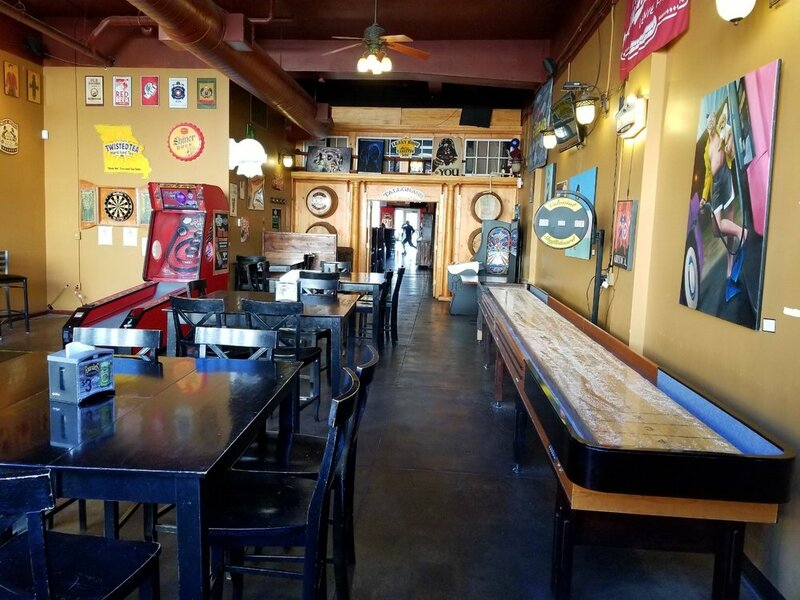 Contact us at LJ@417TAP.COM to further discuss holding your private event at 417 Taphouse.